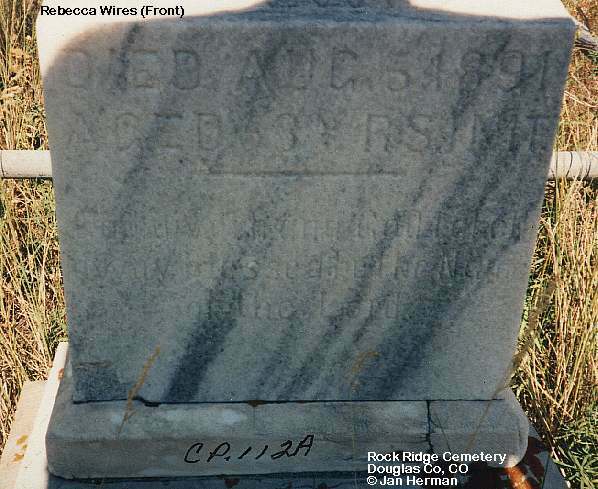 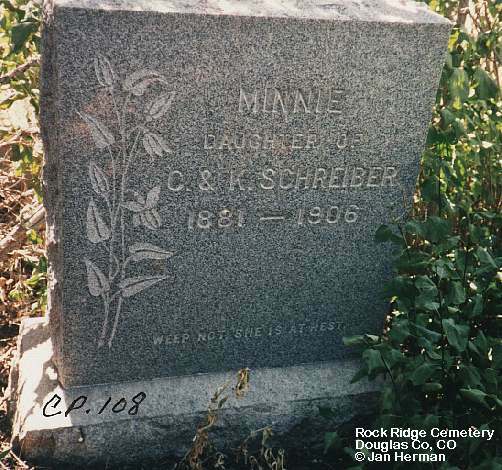 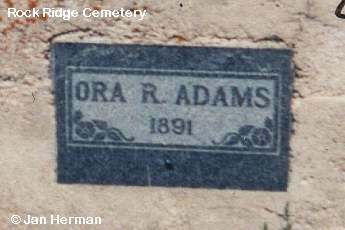 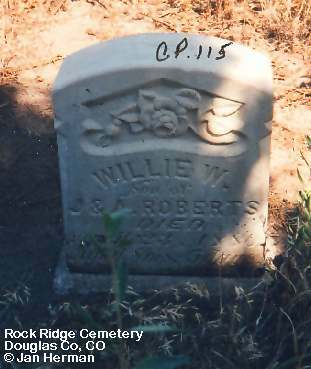 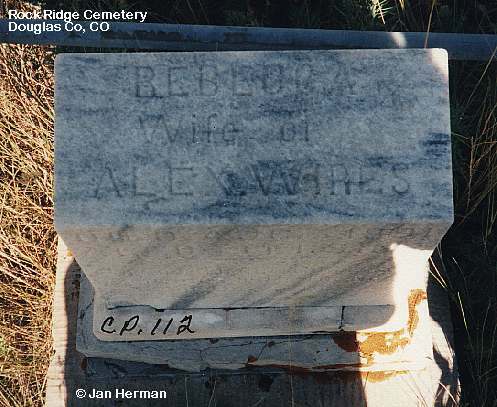 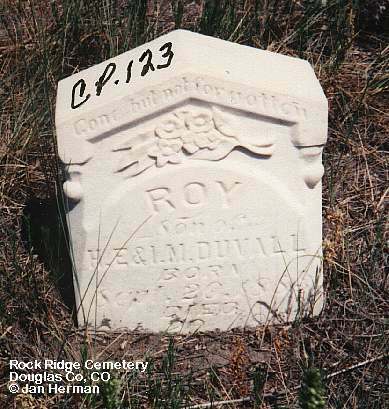 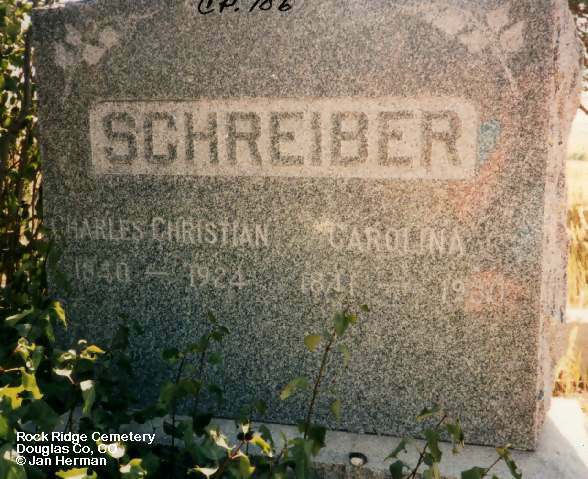 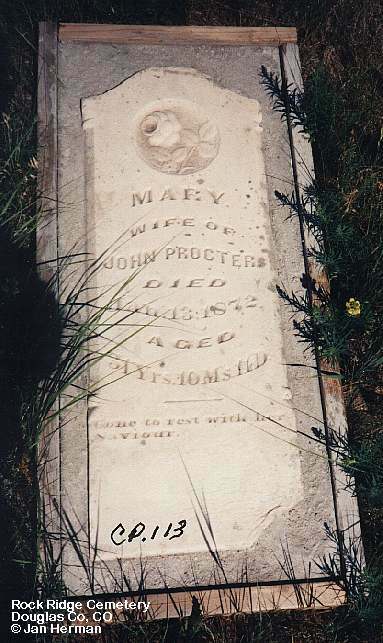 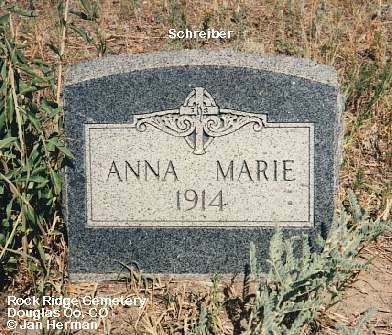 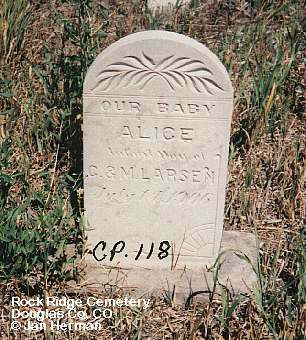 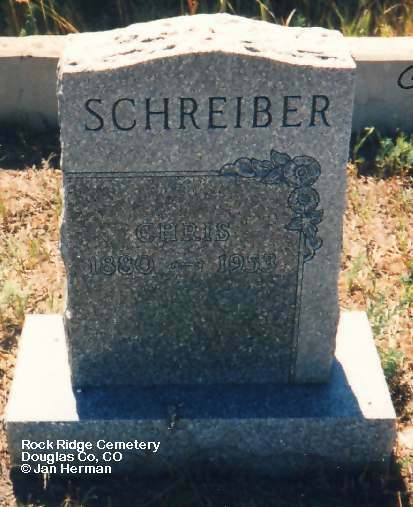 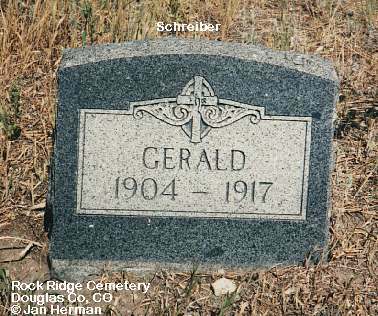 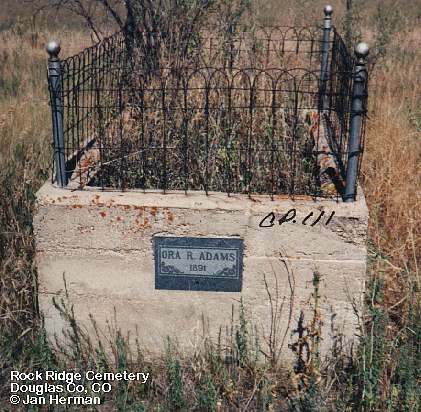 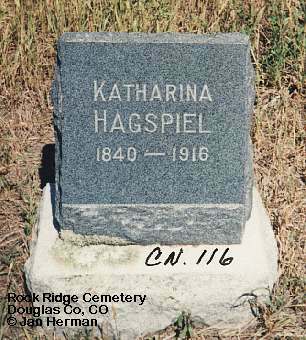 The Rock Ridge Cemetery is located near the eastern border of Douglas County in the NW 1/4 of section 19, township 9 South, Range 65 West on the ridge between Antelope and Cherry Creeks. 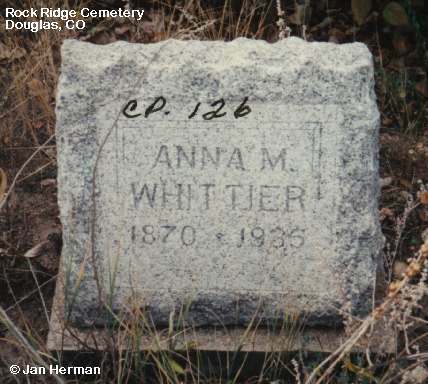 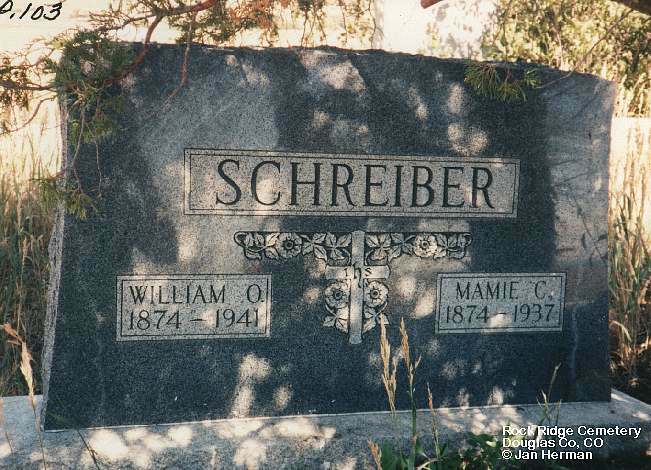 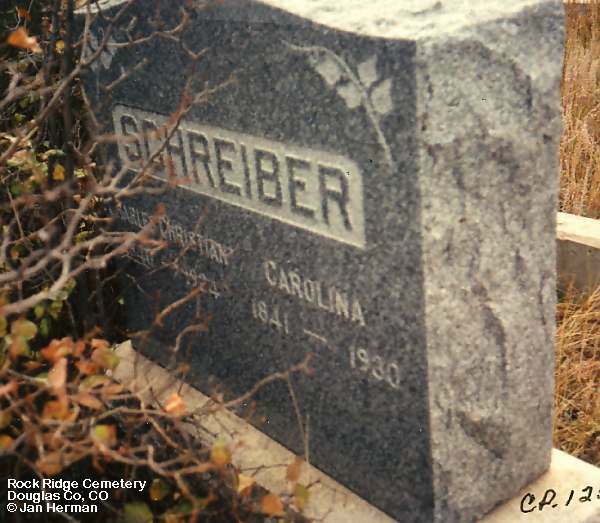 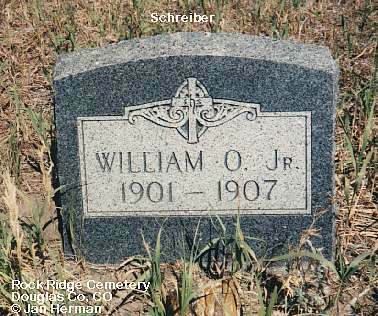 It started as a private family cemetery with the first known burial in 1870. 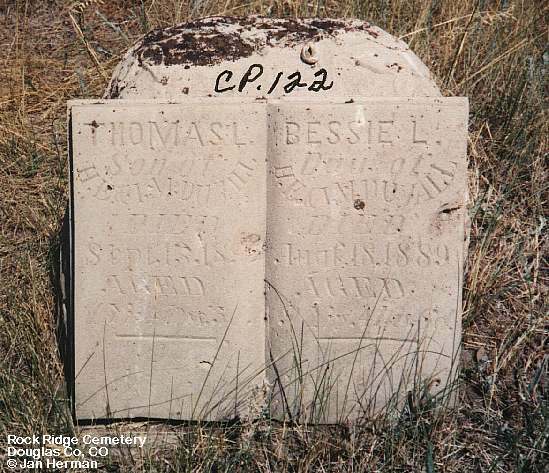 Today the land is owned by Douglas County. 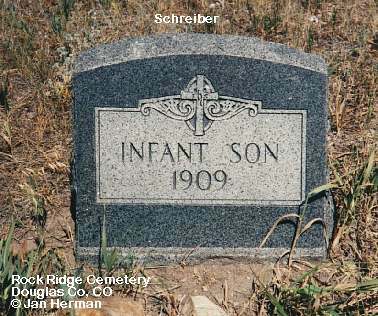 The last burial was in 1953. 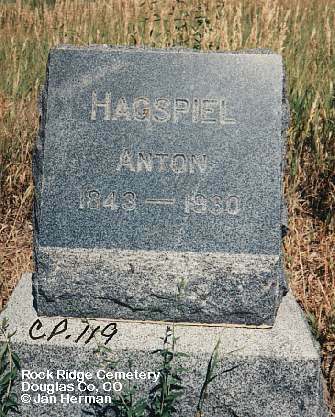 The photographs below inventory all the remaining headstones. 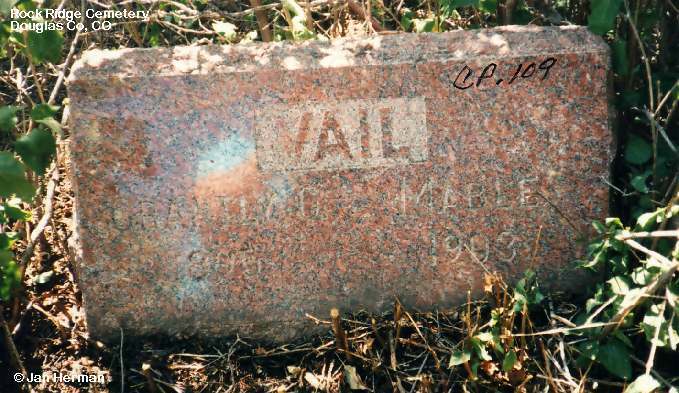 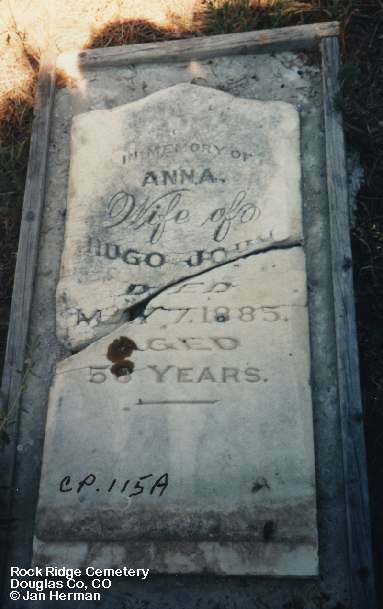 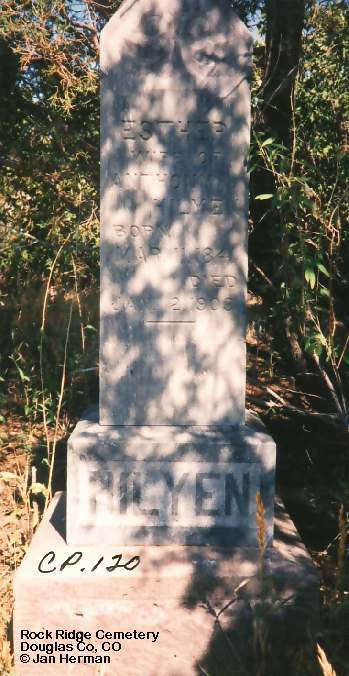 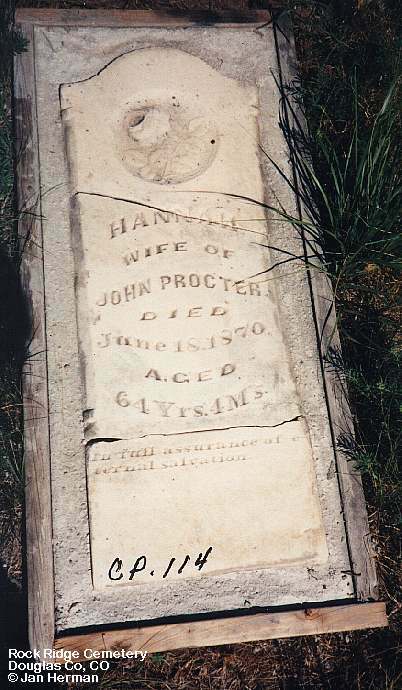 There were many graves originally marked by wooden markers that have long since passed into history. 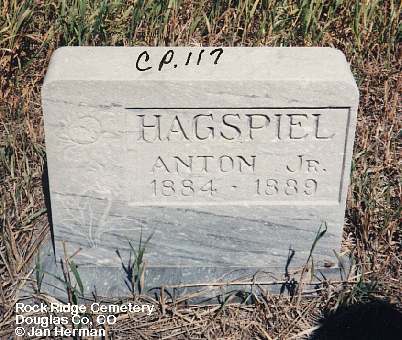 Jan Herman (jh) of the Cherry Valley Historic Society.